Despite what you may have heard, there is not a new type of optical fiber in town. While a new EIA standard has been recently released, the glass that is referred to in this standard has actually been available since approximately 2005 from several sources. The glass once referred to as extended bandwidth OM3 is now referred to as OM4. 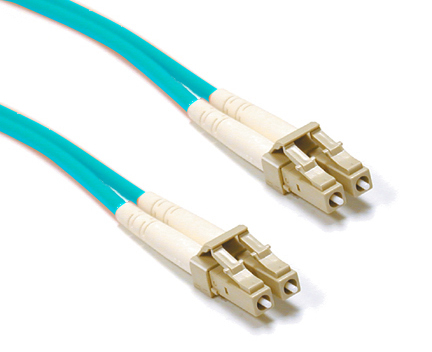 OM4 is a laser-optimized, high bandwidth 50um multimode fiber. In August of 2009, TIA/EIA approved and released 492AAAD, which defines the performance criteria for this grade of optical fiber. While they developed the original OM designations, IEC has not yet released an approved equivalent standard that will eventually be documented as fiber type A1a.3 in IEC 60793-2-10. As increased bandwidth requirements are called out in new installations, particularly 40 and 100 Gb/s standards, transmission distances over fiber optic cables contained in existing infrastructure may become increasingly limited. Increasingly, these higher bandwidth system requirements have dictated a need to transition from cost-effective multi-mode systems to more costly single-mode systems. Until OM4 was formally specified, many next-generation 40 and 100 Gb/s applications would have had to make the leap to single-mode system solutions. OM4 effectively provides an additional layer of performance that supports these applications at longer distances, thereby limiting the number of installations that truly require OS2 singlemode fiber. 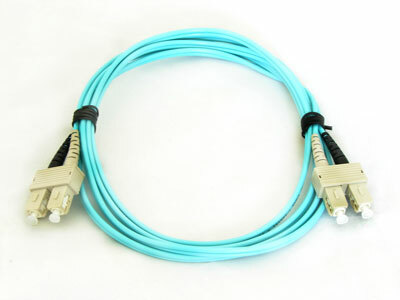 OM4 can provide a minimum reach of 125m over multimode fiber within the 40 and 100 GbE standards. How does OM4 compare to OM1, OM2, OM3, and single mode? There are significant differences between most of the standardized types of glass. A select few of the major attributes of these different glass types are shown below to highlight the differences. It is important to note that OM4 glass is not necessarily designed to be a replacement for OM3. Despite the relatively long-standing availability of OM4, there are no plans to obsolete OM3 fiber optic cabling. For most systems, OM3 glass is sufficient to cover the bandwidth needs at the distances of the current installation base. Most system requirements can still be reliably and cost effectively achieved with OM3, and this glass type will remain available for the foreseeable future. Despite the availability of OM4 glass, OM3 is quite capable of 40 and 100 Gb/s applications albeit at significantly shorter distances than OM4. The primary benefit that OM4 provides is additional reach at extended bandwidth at an overall cost still less than that of an OS2 singlemode system. In other words, OM4 provides a solution that allows more installations to avoid the significantly higher costs of singlemode systems. Why Is It Called OM4? The TIA/EIA approved OM4 specification in its TIA-492AAAD in 2009. IEC's document covering OM4 standard is IEC 60793-2-10 as fiber type A1a.3. Additionally, OM4 provides an opportunity to future-proof cabling infrastructure. OM4 is completely backwards-compatible with existing OM3 systems. As a result, these two grades of glass are interchangeable within the transmission distance limitations outlined above. The additional bandwidth and lower attenuation of OM4 provide additional insertion loss margin. As a result, users of OM4 gain additional safety margin to help compensate for less-than-ideal cabling installations as well as provide margin for degradation due to moves, adds, and changes over the life of the installation. Although Cablek Industries makes every reasonable effort to ensure their accuracy at the time of this publication, information and specifications described herein are subject to error or omission and to change without notice, and the listing of such information and specifications does not ensure product availability.. Cablek Industries provides the information and specifications herein on an "AS IS" basis, with no representations or warranties, whether express, statutory or implied. In no event will Cablek Industries be liable for any damages (including consequential, indirect, incidental, special, punitive, or exemplary damages) whatsoever, even if Cablek Industries has been advised of the possibility of such damages, whether in an action under contract, negligence or any other theory, arising out of or in connection with the use, or inability to use, the information or specifications described herein. All sales of Cablek Industries products are subject to Cablek Industries's standard terms and conditions of sale.